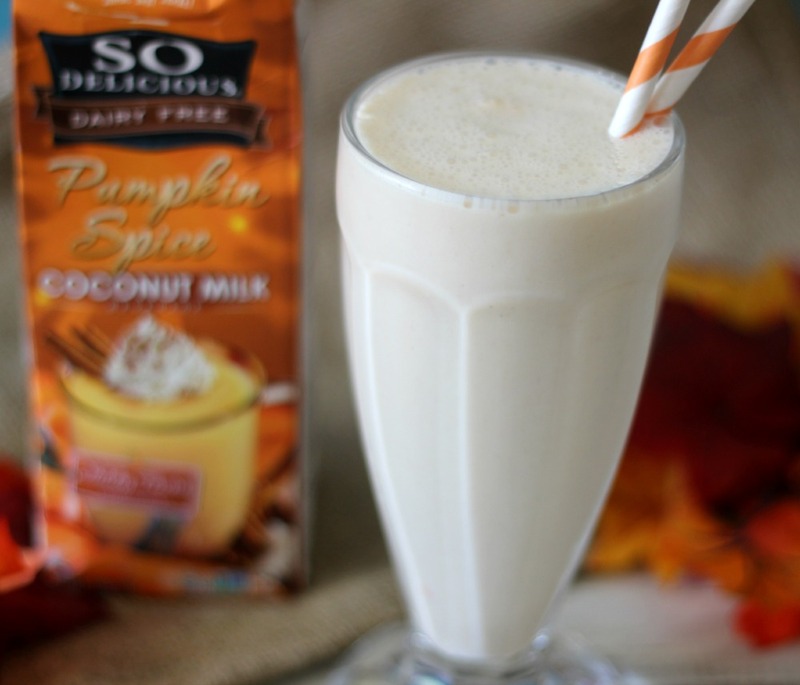 Remember on Wednesday when I told you that I would be sharing with you a recipe using my SoDelicious Pumpkin Spice Coconut Drink? Well the time has come. I have for you an out of this world milkshake that you won’t feel guilty about! It’s loaded with fiber, loaded with flavor and it’s so simple to make, considering it only contains two ingredients. Here is my Pumpkin Spice Milkshake. This milkshake tastes amazing! It’s creamy, light, and the pumpkin flavor is amazing. 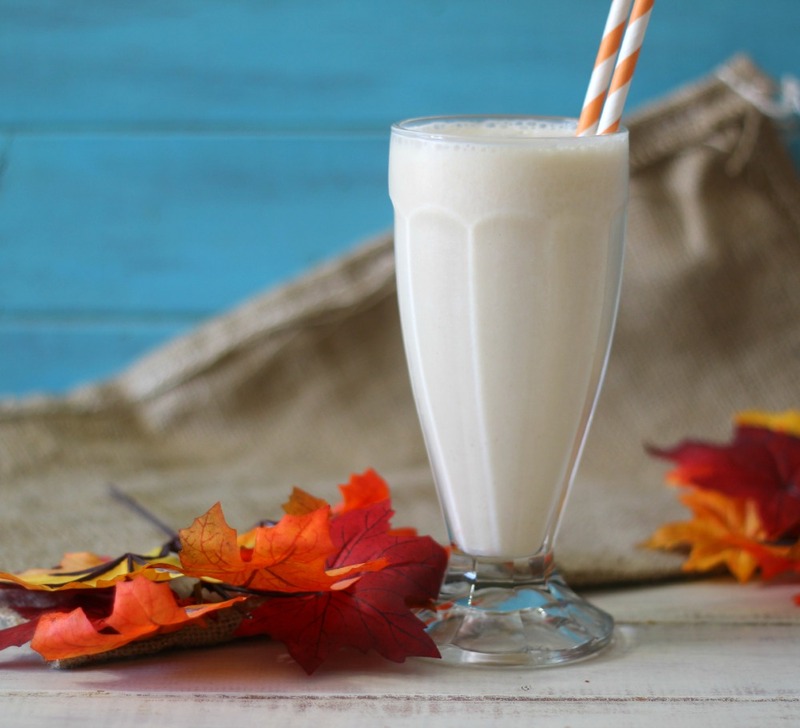 I am so excited about this recipe because it has been years since I have had a milkshake. If you check out the nutritional stats of a milkshake you can see them range anywhere from 700 calories up to 1400 calories. That is crazy. This recipe is only 340 calories, which is pretty low for a milkshake. Plus this milkshake contains 22 grams of fiber, meaning you will be full for hours. 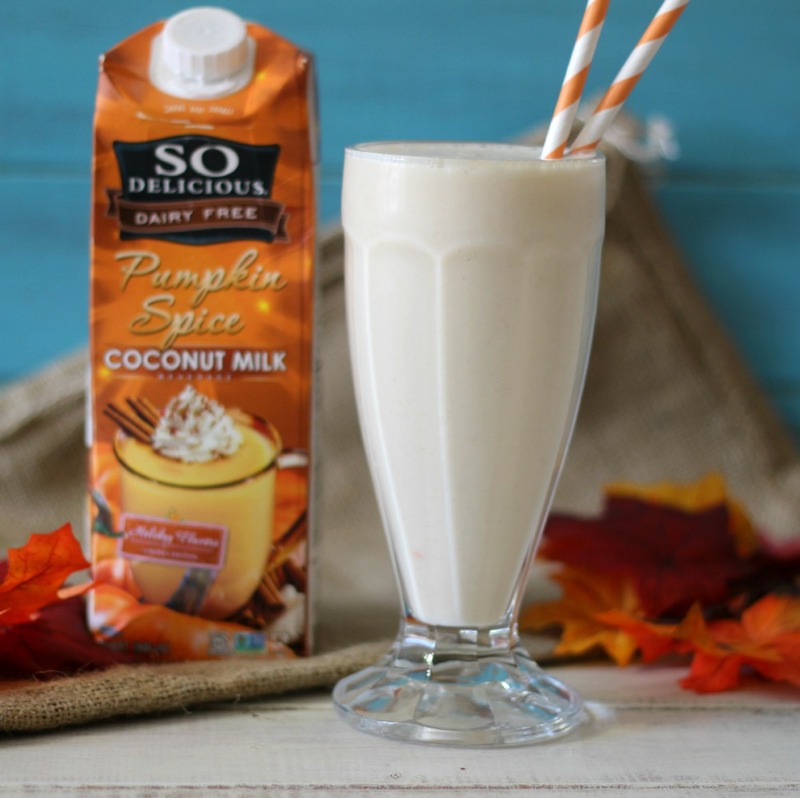 If you’re not a dairy-free kind of person, but love pumpkin, trust me when I say, buy the SoDelicious Pumpkin Spice Coconut Milk. You will love it! Love it!! I also used SoDelicious Sugar-Free Vanilla Bean Ice Cream, but you can always use regular vanilla bean ice cream if you choose. 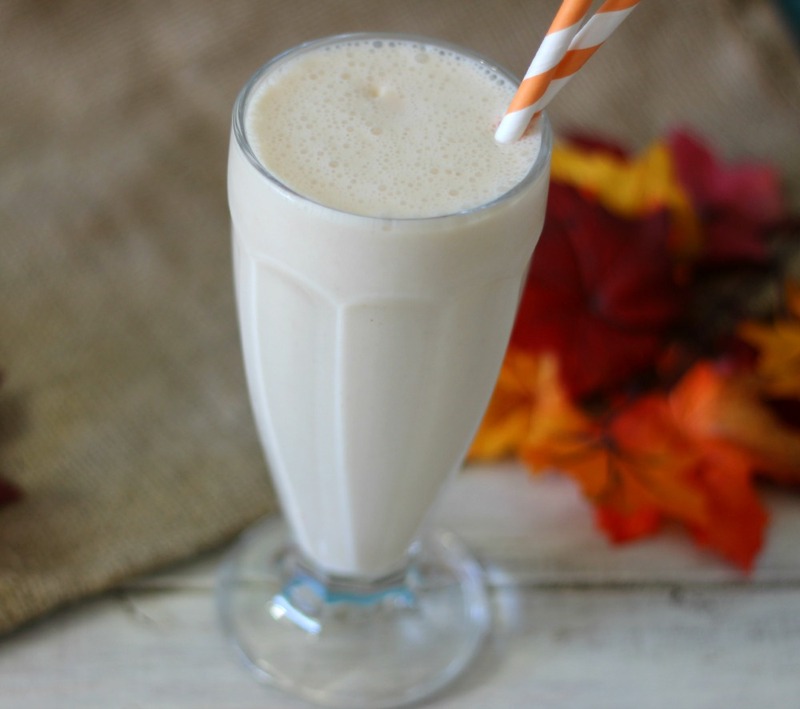 A dairy-free, lightened up pumpkin flavored milkshake that is creamy, light and guilt-free. Add all ingredients in a blender and process until just combined. Well it’s time for me to go make another milkshake since everyone tested the first one and loved it. Needless to say this will be a Fall staple in our house.